Takeaway: Many job tasks place physical and psychological demands on the worker conducting them. Conducting fit-for-work assessments can help employers to make educated decisions based on a worker's medical and physical capabilities. In today’s working environment, there are many job tasks in which the health of a worker could have an impact on the safety of the task being conducted. Additionally, performing these job tasks and job stress may also worsen certain preexisting health conditions that the worker may already have. If a worker is unable to safely complete his/her job task, not only does this place them at risk, it also increases the risk for their co-workers, especially in safety sensitive positions. Therefore, it is not surprising that employers seek to reduce such risks by implementing some form of fit-for-work testing programs. Fit-for-work refers to the process of ensuring that a worker can complete his/her job task safely and without unacceptable risk to themselves or their co-workers. It involves a medical assessment that aims to determine if a worker is capable of completing his/her assigned job task under specific working conditions. Which employees are candidates for a fit-for-work assessment? According to the United States Bureau of Labor Statistics, new workers account for more than 40 percent of work-related injuries annually. It has been suggested that since most new workers are young and inexperienced, they are most likely to be injured on the job. Therefore, it is essential that new workers be sent for a fit-for-work assessment to ensure that their physical and psychological capabilities do not affect their abilities to safely complete their assigned job tasks. 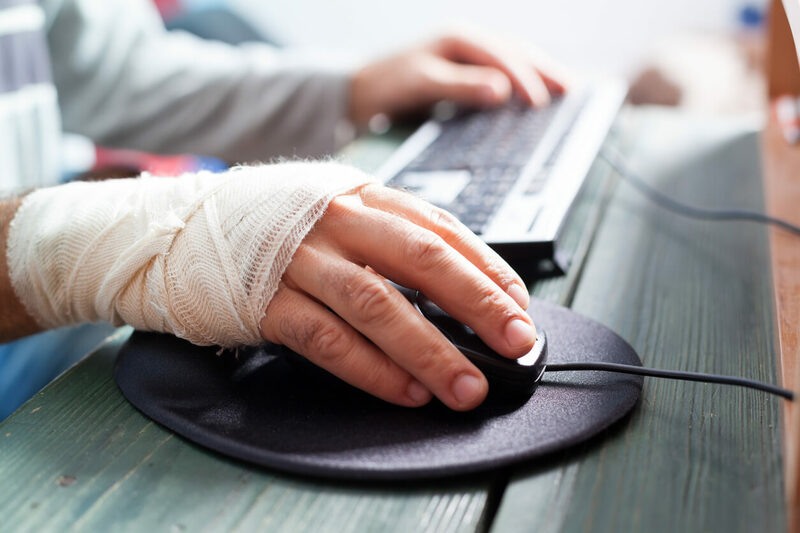 Additionally, existing workers assigned to new job tasks, workers who exhibit observed behavioral and/or psychosocial changes, and existing workers returning to work after being impaired by an injury or illness are also candidates for fit-for-work assessments. To successfully implement a fit-for-work testing program, strong, visible leadership from management, as well as the coordinated input of all relevant stakeholders, is required. Good program planning practices are necessary. According to the International Association of Oil and Gas Producers, the following 10 steps should be followed to ensure the successful implementation of a fit-for-work testing program. With the assistance of the organization's health and safety representative, determine which group of workers require fitness to work control. It is crucial to involve the health and safety representative since that individual will have a detailed understanding of the potential risks associated with specific job tasks. The medical examinations and functional capacity evaluations to be used should be identified for each group of workers. To identify such examinations/evaluations, enlist the help of occupational physicians, ergonomists, and other health and safety professionals. This will ensure that all tests are the tests best suited for their intended use. This step is important as it confirms that the plan is legal and acceptable within the statutes a company is operating under in a specific situation and location. As necessary according to contracts and agreements, consult with trade unions and/or safety councils with regards to how to go about addressing potential issues, such as a worker being unfit for duty and a worker’s refusal to attend an assessment. Management, as well as all stakeholders involved, should agree to a detailed timeline for the development, adoption, and implementation of the planned fit-for-work testing program. When employing the services of a network of health care providers and safety professionals, specific challenges may arise. To avoid these challenges, ensure that these specialists are competent in their field and provide guidance on what is required from them with respect to medical examinations and non-medical evaluations. Management, in collaboration with Human Resources, should develop the implementation plan, specifically addressing notification procedures so that everyone who will be involved in implementation is up to speed on the plan. Medical evaluations should be conducted on the worker populations identified by previous risk assessments, a pre-employment medical exam, and biographical data when applicable, in order to determine fitness to work. After this is done, both management and human resources should be notified regarding the outcome of the assessments. Additionally, set a recall date for periodic review. Monitoring compliance of the program is a crucial step. If a risk assessment identifies a specific test or examination as needed (such as a maximal exercise test, for example) but it is not actually conducted, this could open up the organization to legal liability issues should an injury or other health issue occur. Running periodic quality checks on tests conducted is essential in ensuring ongoing relevance of the tests. In order for a fit-for-work program to be successful, all parties involved should be aware of their specific roles and responsibilities. Applying medical screening tests and examinations. Are your workers fit and safe for their jobs? Fit-for-work assessments seek to inform employers about a worker’s medical conditions, critical strength, and physical capabilities. Therefore, the overall goal of implementing a fit-for-work testing program is to place workers in the job best suited to their abilities in order to promote a safe and productive work environment for themselves and their co-workers.